Ocean is committed to minimizing environmental impact wherever possible. Our Kempt Road Ready Mix Concrete Plant boasts a state-of-the-art Enviro-Port concrete reclamation system. The reclaimer separates concrete aggregate from the process water. The water that comes out of the reclaimer still contains cement particles. This water is fed through a process water recycling system and is then reused within the plant. This prevents contaminated water from entering the city's stormwater system as well as significantly reduces consumption. 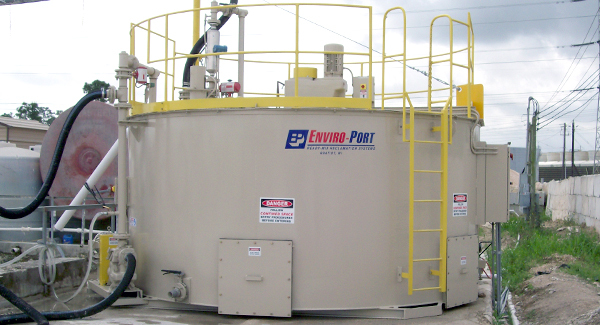 Our modern asphalt plant uses Recycled Asphalt Product (RAP) in conjunction with conventional raw materials. RAP is procured when roads in need of repair are recycled at the surface. In addition to RAP, another product we re-use in our manufacturing process are discarded roofshingles. These shingles are mechanically separated, leaving behind clean paper and sand. The fine aggregate is added as a liquid asphalt replacement. Both processes contribute towards Nova Scotia's aggressive landfill diversion efforts. To this end, Ocean won a prestigious Mobius Environmental Award for our re-use of shingles at C&D Recycling based in Halifax.